The movie will focus on Amberley defying all odds on her way to competing again in the sport that she loves, barrel racing. 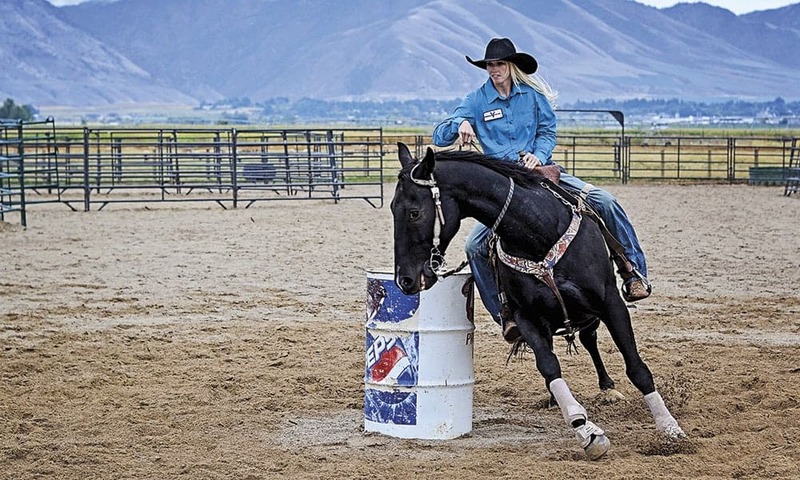 When Amberley Snyder was left paralyzed from the waist down after a tragic accident, she was told she would never walk or ride again. Fast-forward nine years later, and Amberley Snyder is known as the only paralyzed barrel racer in the country. The inspirational cowgirl has been very open about her journey, using her circumstance as a platform to encourage others and provide hope. Amberley is about to reach an entirely new crowd of people, thanks to her upcoming Netflix film Walk. Ride. Rodeo. The movie, which is set to be released in March or April of this year, will focus on Amber defying all odds on her way to competing again in the sport that she loves, barrel racing. Read a brief excerpt from the movie synopsis below. Want more Amberley? Read COWGIRL‘s feature story on the incredible cowgirl. Tags: AmberleyAmberley Snyderbarrel racebarrel racingbarrelscowgirlcowgirlsFilmfilmshorsehorsesinspirational cowgirlMoviemoviesNetflixWalk. Ride. Rodeo.